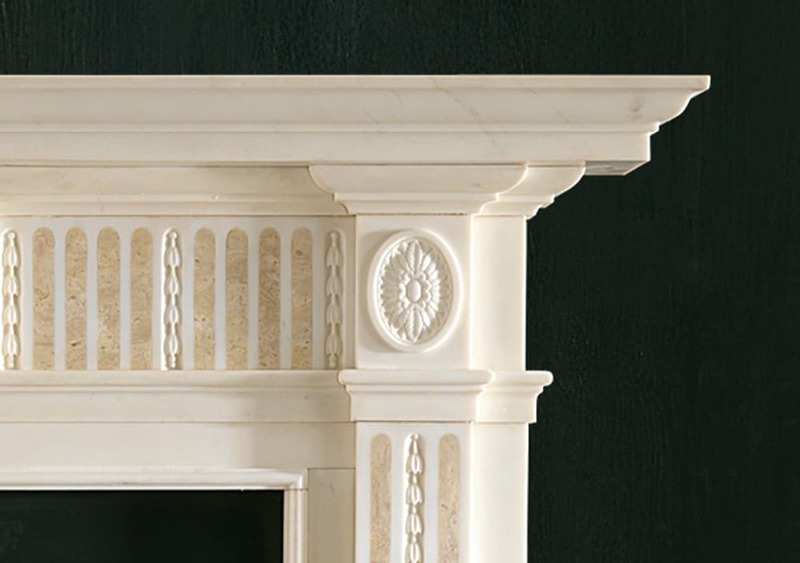 The Albemarle fireplace carved out of statuary marble, fits the regency era perfectly with carved centre tablet and corner blockings. 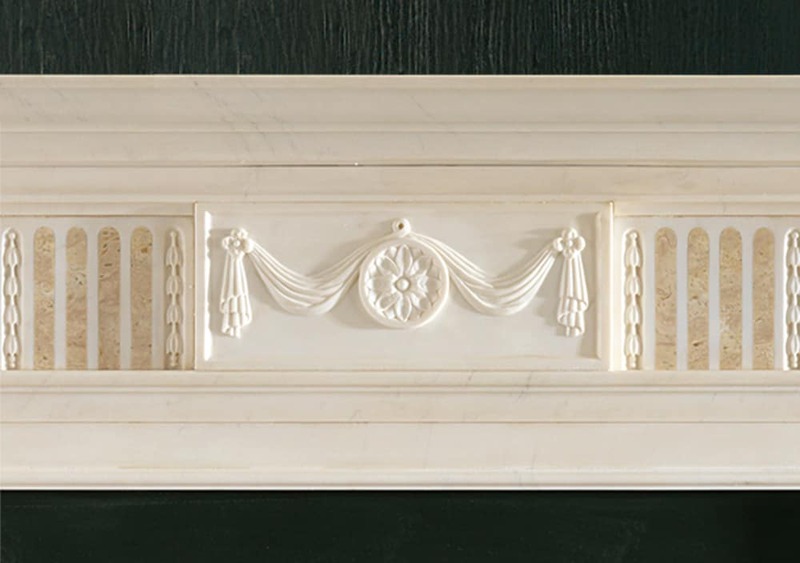 The jambs and frieze panels are inlaid with the beautiful Etruscan gold marble. 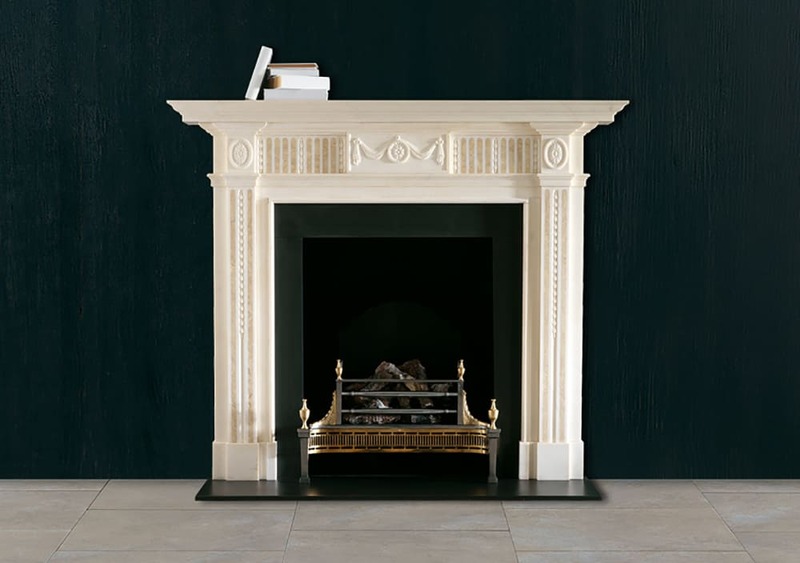 The Albemarle fireplace would look lovely in a large fireplace, with its fine details in the carving it will definitely make it a focal point to any room. 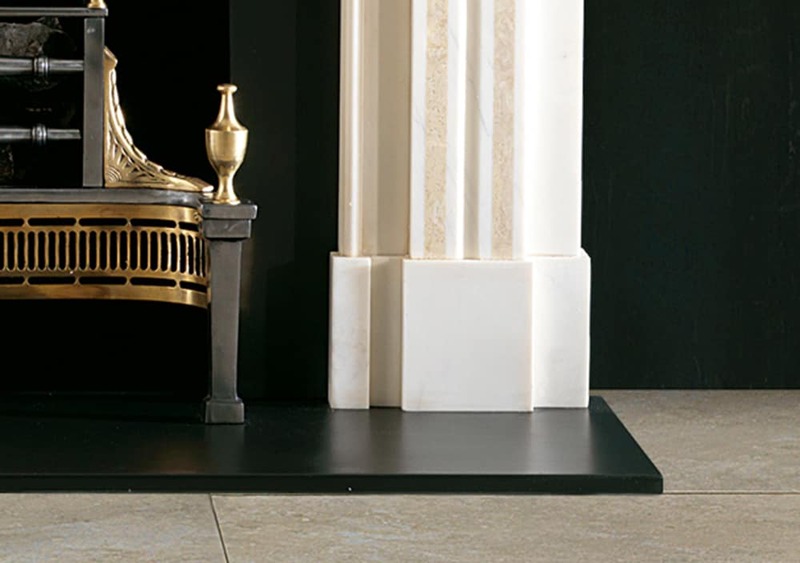 Also with the gold marble throughout the panels makes the fireplace different and helps draw the eyes to the lovely design.